"Hey Mister, throw me some beads!" 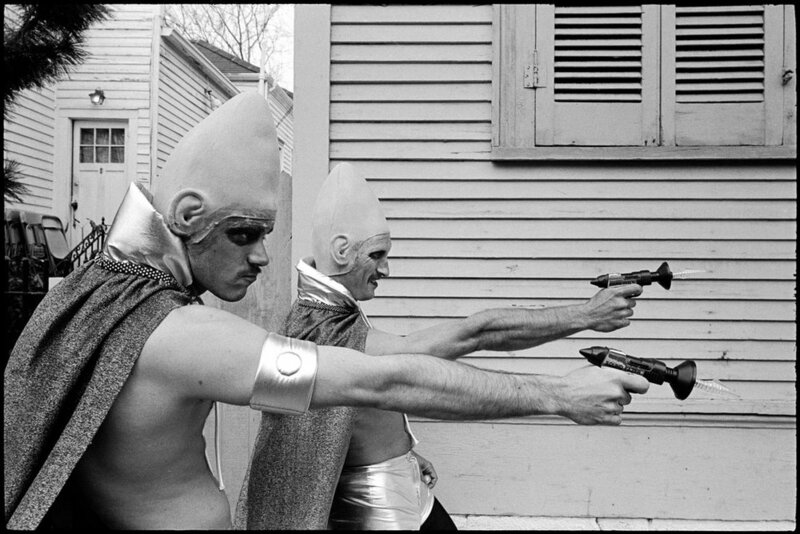 is a phrase that is iconic in New Orleans' Mardi Gras street argot. Strings of beads, doubloons, and other trinkets are passed out or thrown from the floats in the Mardi Gras parades to spectators lining the streets. 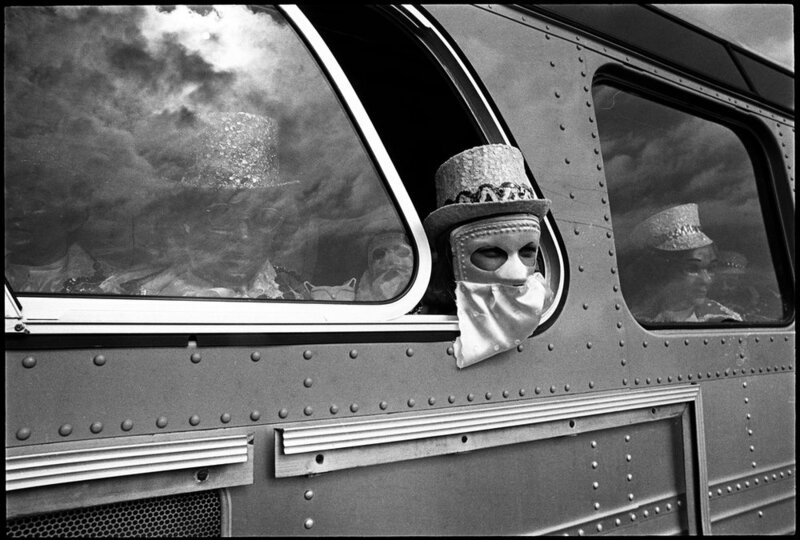 In 1974, Bruce Gilden was a young photographer when he first went down to Mardi Gras to shoot his first personal essay away from his home city New York. 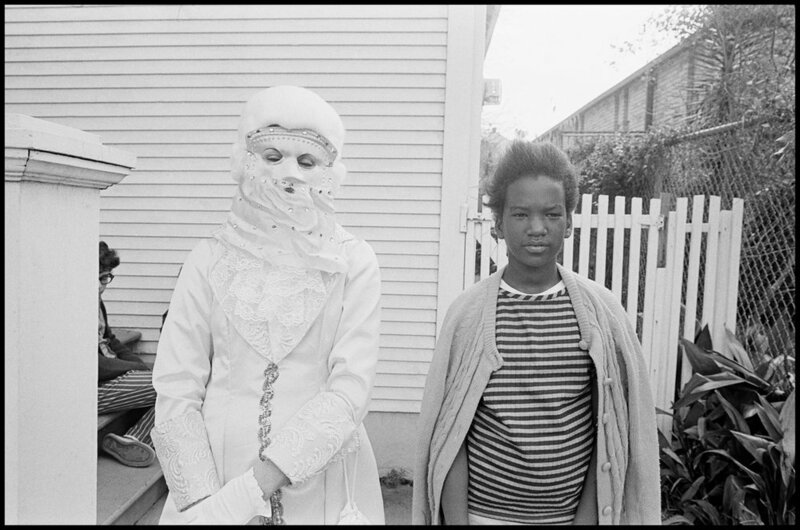 But when Gilden first stepped foot in New Orleans, he found himself in "a pagan dream where you can be what you want to be." 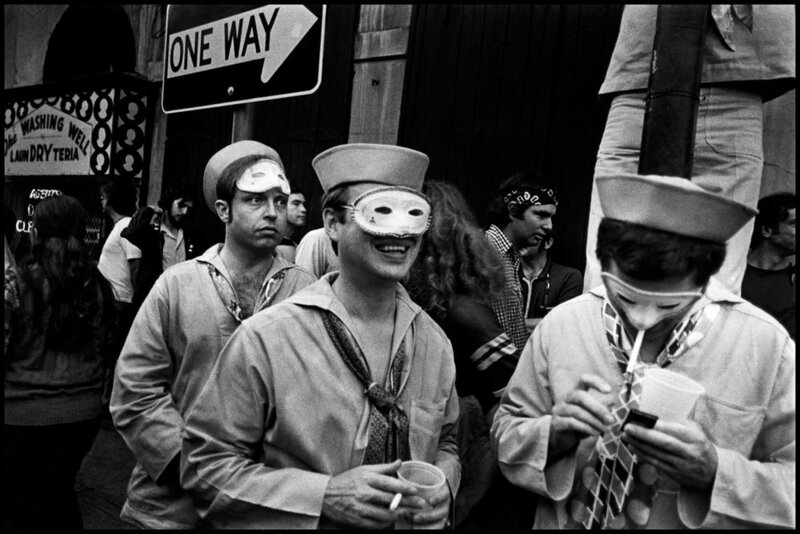 So Gilden became a regular, making seven trips down to the mayhem of Bourbon Street between 1974 and 1982. 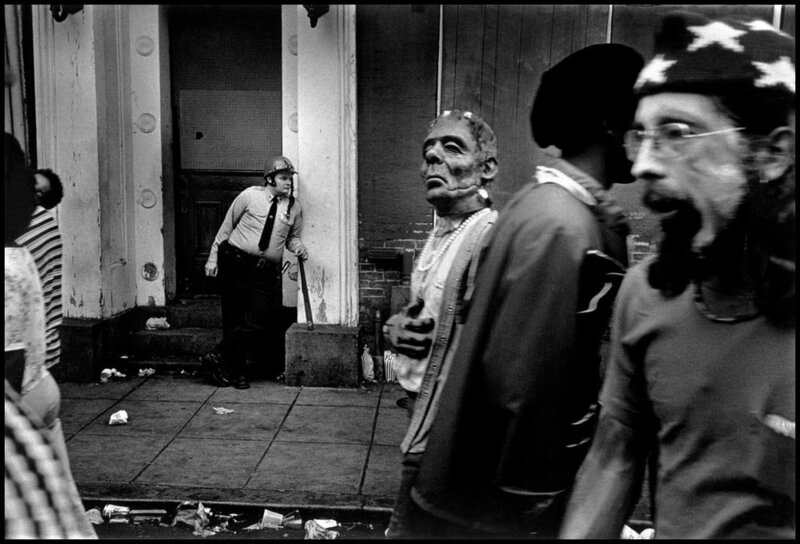 The energy, the mentality, and the social and cultural mores of Mardi Gras were all new for Gilden, but he captured the carnival crowds with the same raw intensity and poignancy that characterize his most iconic New York street photographs.